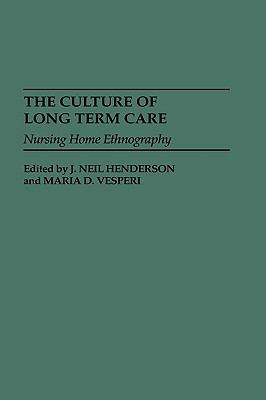 by Henderson, J. Neil, Vesperi, Maria D.
Henderson, J. Neil, Vesperi, Maria D.
This is the only collection of its kind to offer an inside view of life and work in contemporary nursing homes with the purpose of developing a theory of the culture of long term care. The anthropological research in nursing homes presented here produces a seldom seen native view of patients, staff, and the day-to-day workings of American nursing homes. The use of ethnographic methods penetrates the reality barriers found in industry descriptions, muck-raking discourse, and general societal aversion toward nursing homes. The tensions found between and within staff culture and patient culture are explored in terms of adaptations to institutional life in the context of current policy and the larger American ageist culture.Henderson, J. Neil is the author of 'Culture of Long Term Care Nursing Home Ethnography' with ISBN 9780897894227 and ISBN 0897894227. Loading marketplace prices 62 copies from $59.37 How does the rental process work?